Our cotton is grown by family farmers in co-operatives that are Fairtrade Certified and Certified Organic. This generates a significant benefit to the farmers, their communities, the environment and to our future generations. From field to store shelf, our cotton is grown and manufactured according to strict social and environmental standards. The result is gorgeous low impact, non-toxic products that are as gentle on your skin as they are on Mother Nature. NatureSoft bedding offers you a variety of pure natural bedding to their health conscious and smart customers because natural linens are made without chemicals and dyes which make them softer and increase your comfort level. 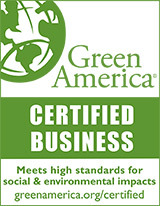 Use of organic sheets and bedding eliminates the vital source of prone chemical textiles from your home. Natural bedding are not only good for human health but also good for the health of planet because they are processed and raised without chemicals. Furthermore, natural bedding will not expose you to harmful herbicides, pesticides, and fungicides which could disrupt human’s hormonal balance. NatureSoft Organic Cotton Sateen Sheets. 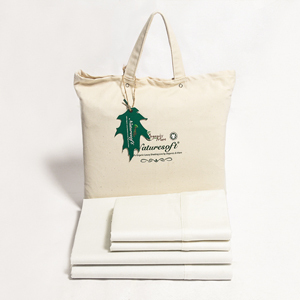 These signature 100% organic cotton sateen sheets are constructed with a Z-hem. They are is uniquely soft and truly luxurious. Sateen sheets can be used all year long and hold up well over time. Compare to other organic cotton sheets at twice the price and you won't believe your savings.